Order from home. Delivered to your door. Ordering the best built outdoor structure is easy. 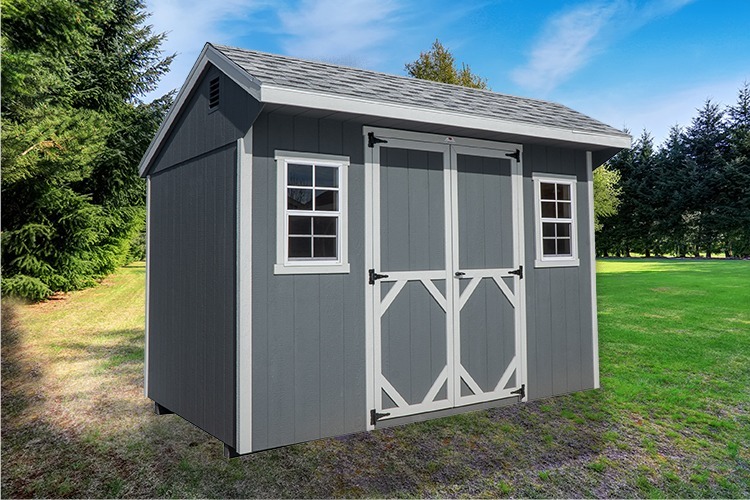 Rooted in our Amish heritage, this New England-style shed is a marriage of good looks and long-lasting function. 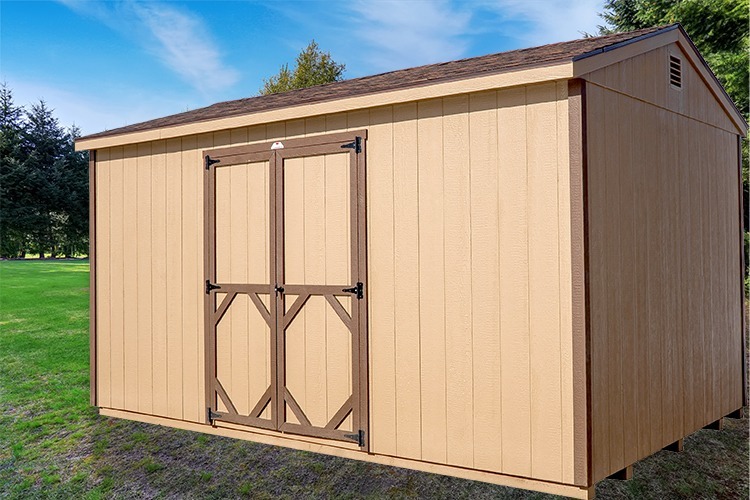 With upgraded door hinges, trim, and roof pitch, this attractive shed will meet any of your outdoor storage needs. 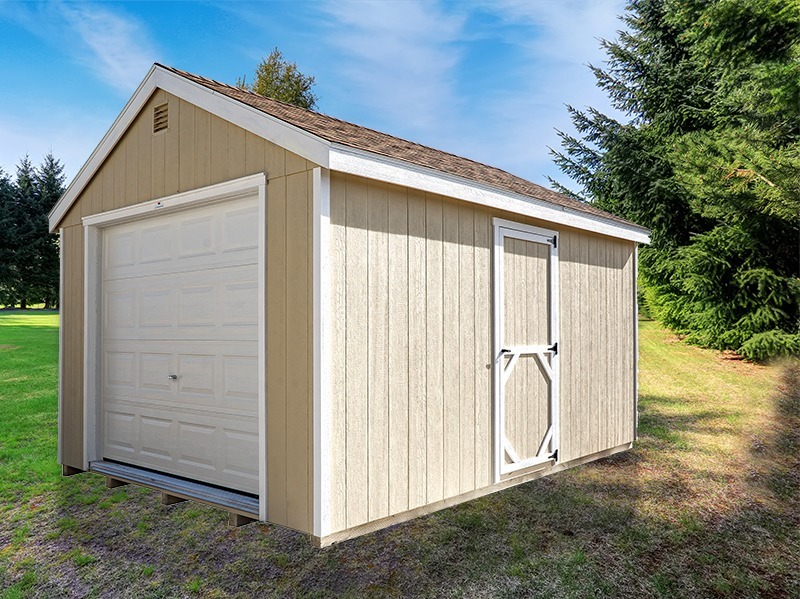 This shed has endless potential: extra storage, additional office space, a workshop, studio, or beyond! Quality meets affordability. 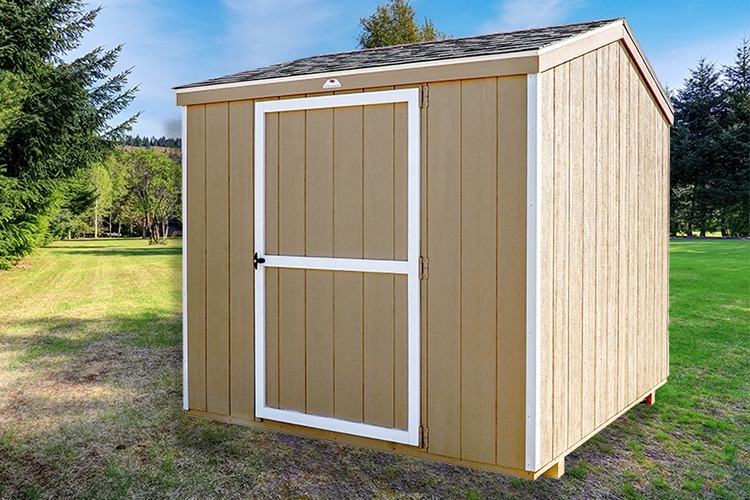 This basic storage shed gives you the space you need at the price you want. Find a building that meets your needs fast. 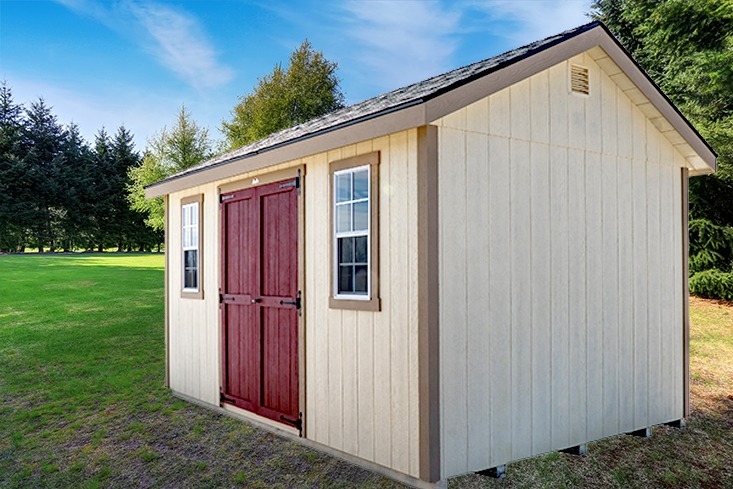 Choosing a pre-owned, quality-checked building keeps your cost down for the same superior product. 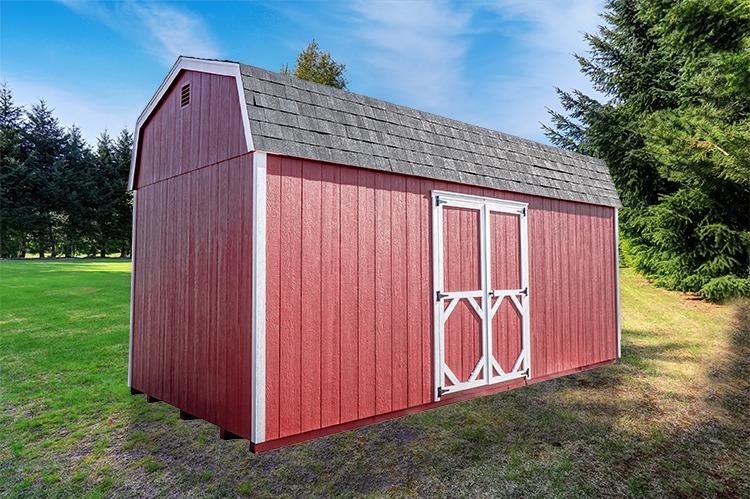 The extended head room in this spacious barn gives you the opportunity to create a loft or expanded storage. 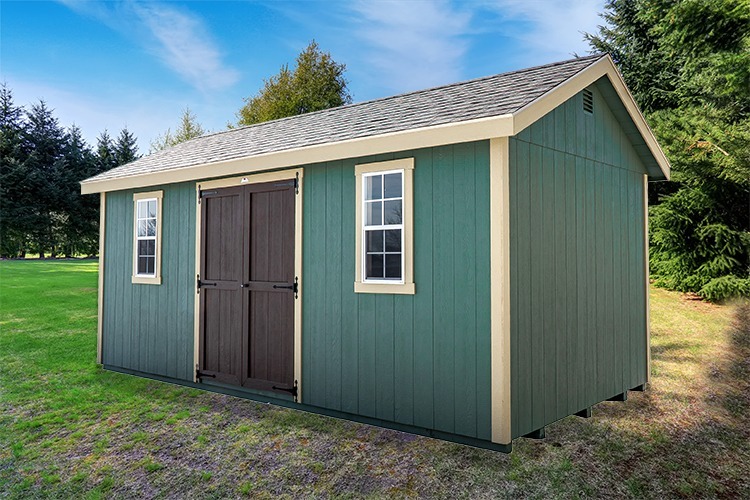 Designed with your animal’s comfort in mind, these shelters offer quiet, durable housing with an optional tack room. 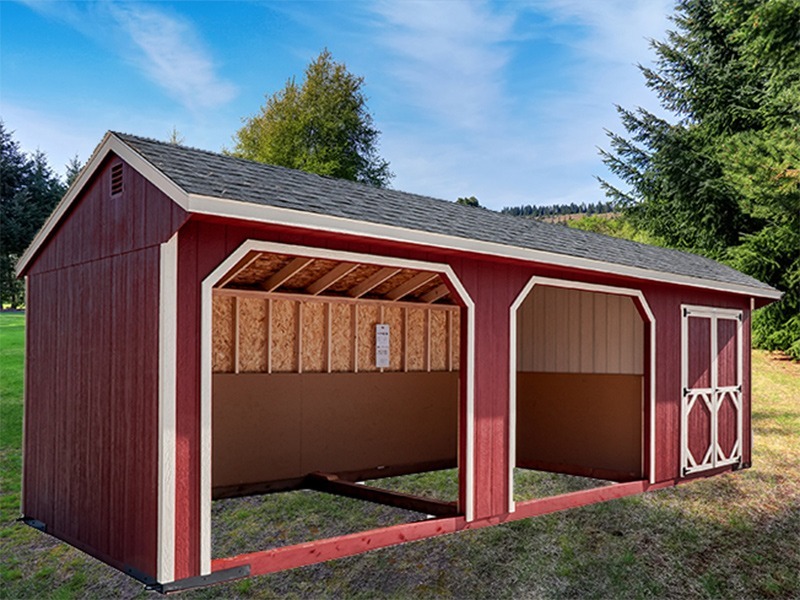 Create the perfect space for your cars, bikes, ATVs, and more! With lockable front and side doors, your toys will be safe and sound. 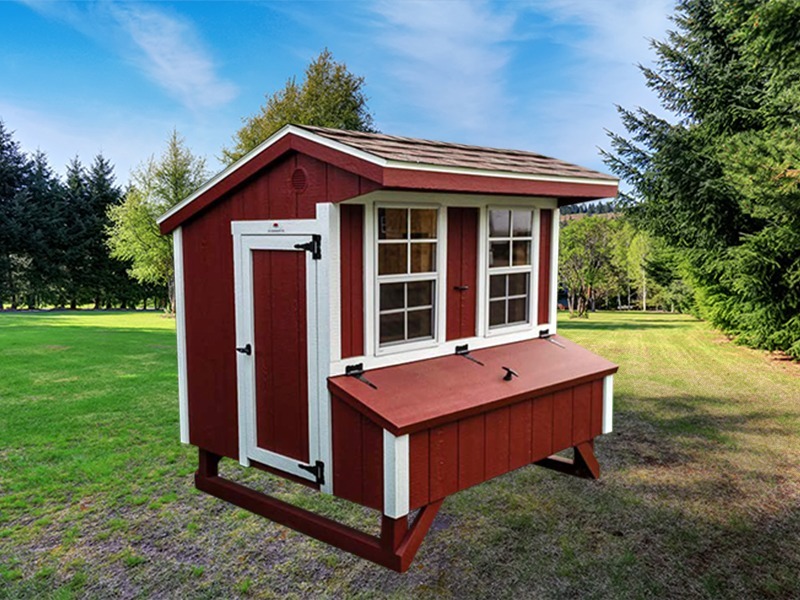 With space for eight chickens, this fully-assembled coop offers all of the benefits of our standard coop in a compact footprint. 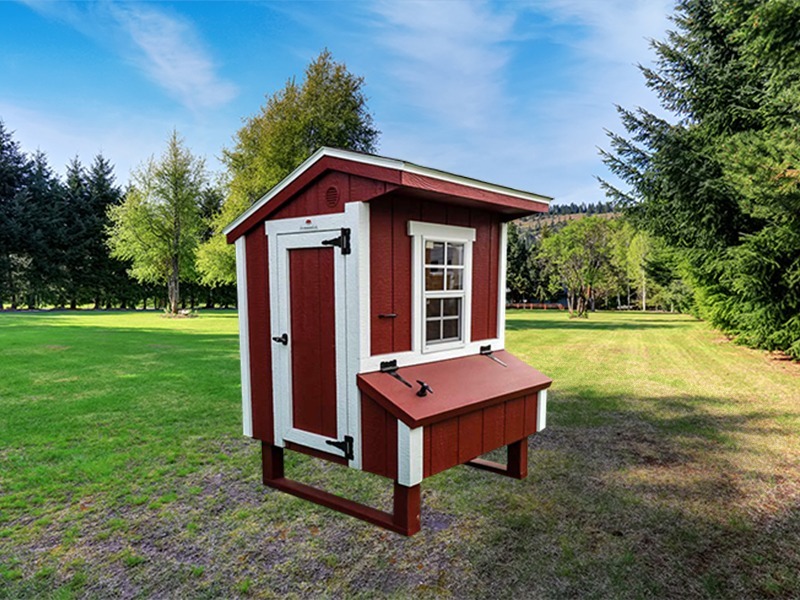 Up to 18 chickens will thrive in this coop that features nesting boxes, a chicken door and ramp, and silver-lined walls and ceiling to keep your birds cooler in the summer. The Shed Yard was ABOVE AND BEYOND. We loved the panoramic customizer tool online and the positive customer service from every single employee.